Some management skills are essential learning for all. We have a wide range of one-day solutions which focus on applying management theory to real-work challenges and scenarios. What you get with The Oxford Group? Delivered by facilitators with extensive learning experience. Ideal for all, regardless of management experience. Delivered by experts with specialist experience ‘in the field’. Ideal for senior leaders. The programme was clear, concise and delivered the objectives it set out to deliver - what more do you want from a training course! Informative and well presented… good use of practical examples and group work was enjoyable. According to LinkedIn Workplace Learning Report 2018, 94% of employees say that they would stay at a company longer if it invested in their career development. 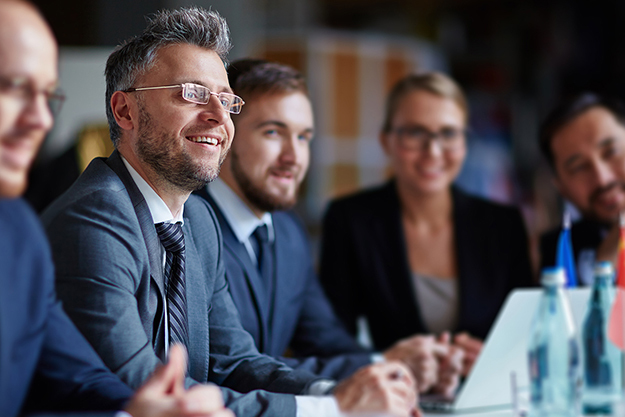 Our short courses are perfect for building the skillsets of your managers and leaders. Please browse for more details about each course. Making sure interviewers across your organisation ask candidates the right questions and adopt a consistent approach is essential to attracting top talent. This workshop focuses on the practice of criteria-based behavioural interviewing, transforming the way interviewers observe and assess the performance of others in a wide variety of settings, helping them make better selection decisions. The most effective managers are the ones that bring out the best in their colleagues. This workshop provides a thorough introduction to the skills and techniques of coaching others at work. Participants learn a coaching framework useful in a variety of situations from short informal discussions to formal appraisal discussions. This workshop will enable participants to help others to continuously improve – as well as themselves. Effective trainers, managers and team leaders know how valuable facilitation skills are to get the best from groups and individuals. This workshop explores the methods, tools and techniques that encourage attitudinal and behavioural change, enabling participants to make a real contribution to their organisation through others. Being able to motivate, persuade and engage with colleagues is essential to achieving your goals. Participants of this workshop will be clearer and more confident about the outcomes they want to achieve, know more influencing techniques and be more able to understand and work with the needs of others. Knowing how to improve team and individual performance is perhaps the most important skill a manager can have. This workshop covers all the key learning and techniques for effectively managing the performance of others. It will enable participants to understand better the needs and motivations of others and use a range of practical tools and techniques to work with them to deliver great results. 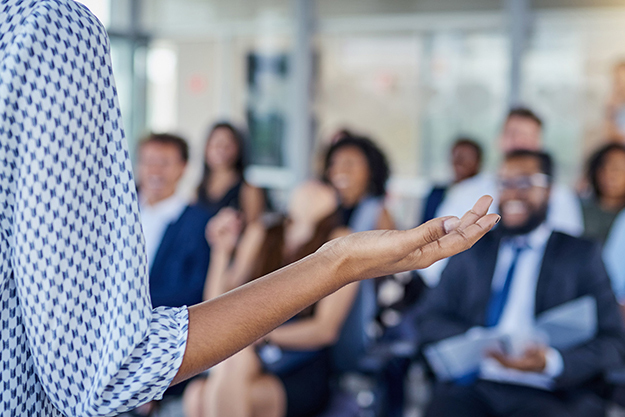 Many people find delivering a presentation a daunting prospect but ensuring that yours will hit the right notes improves impact and helps alleviate nerves. Our practical step-by-step approach to effective presentations covers all aspects of presenting in a business context. This workshop builds both individual preparation and confidence as well as introducing tools, techniques and tips to make the most of your presentation opportunities. Being relaxed and confident when dealing with uncertainty will result in better business decisions. This workshop provides participants with an insight into their strengths and areas for development, as well as how to support their teams during ambiguity. Poor leadership is widely acknowledged as the reason why most change programmes fail. This workshop highlights best practice in change management. We ask participants to bring with them some real examples of change situations to work on during the day. Creating readiness for change—why change? The world is getting smaller. Technology has allowed more and more businesses to operate internationally, meaning teams can be spread over a significant geographical space. This can lead to isolation, lack of a sense of identity and cohesion— which all impact performance. This workshop, built on our practical experience of operating in more than 60 countries spread over five continents, introduces you to the frameworks and tools leaders need to overcome these challenges and create a high-performing remote team. The oral tradition of storytelling has always been a feature of human interaction but can also be used as a powerful business tool. This workshop boosts the awareness and potential of managers to consciously use storytelling as an effective means to translate business and personal messages so they inspire commitment and intelligent action. Have you ever wondered why some people can just walk into a room and get noticed? This masterclass breaks down the key elements of ‘executive presence’: demonstrating gravitas and self-confidence in day-to-day informal and formal situations, communicating clearly and expressively, being assertive without being aggressive or dominant, remaining in control and unflustered in difficult or unpredictable situations, to influence and make a positive impact on others while being yourself. What is executive presence and how can I improve it? In the early 1950s Kurt Lewin, the grandfather of thinking on organisational change, created the three-step ‘freeze, unfreeze, refreeze’ model for businesses progressing through their desired states. Nearly 60 years later, the forces of technology, demographics, rising customer demands and changing workforce mean change has got tougher and businesses often find themselves in permanent ‘slush’ where change never completes before the next big shift comes along. Research shows two thirds of organisational change programmes failing to produce desired outcomes. This masterclass makes participants smarter in their role as a change agent and change leader, bringing them up to speed with the latest research, using case studies from across the world. In surveys of CEOs across the globe, innovation and agility repeatedly appear as both a key ambition and a primary concern for the leadership. Both can deliver ‘game changing’ benefits, both can be destabilising and unwelcome forces. Modern organisations have to be quick, responsive and continually reinvent themselves if they are to keep their edge, delight their customers and ultimately survive. At the heart of innovation and agility lies change, experimentation and by design, some degree of failure – and leaders need to accommodate this. This masterclass introduces leaders to the latest thinking and enables participants to apply it back in the workplace. What is agility and does it matter? The decisions taken by leaders such as restructuring, refocusing or upskilling their organisations are informed by the demands of the external environment. As technology advances and customers become more demanding – and powerful – strategic decision making is increasingly challenging. Leaders must also operate in an ‘authorising environment’ where the likes of the media, competitors, the legal environment, the government can work for or against your organisation’s ambitions. To succeed as a leader in this turbulent context, leaders need to be crystal clear on their priorities, excel at engaging with and shaping the external environment and understand which features of the authorising environment need the most attention. This masterclass focuses on this central question of how best to frame the leader’s role in engaging with and influencing the strategic environment. And it explores the importance of the speed, how frequent engagement should be and where attention needs to be. Neuroscience provides us with a better understanding of the ways that our brains code information and therefore the basis of how we can change our behaviour. Leaders can use this to improve their performance and bring the best out of their teams and other colleagues. Awareness of how our brains work gives us a new perspective on ‘unconscious bias’, and enables us to manage our inherent preferences and not allow them to drive decisions. This masterclass is designed to help you devise ways to decrease the impact of unconscious bias and address diversity and inclusion. We have your managers' and leaders' development needs covered, so speak to us today.